Negotiations over the wording of the final communiqué from the G20 meeting of the world’s wealthiest nations carried on late into Saturday morning. The sticking point? Disagreements over the US’s preferred phrasing for the group’s position on climate change and renewable energy. Bafflingly, the US wanted to state that it will help other nations with access to fossil fuels. Disagreement on the issue of climate change was anticipated from the beginning of the meeting in Hamburg and Germany Chancellor Angela Merkel has expressed that is “the one crucial issue” to be discussed at the meeting. The US broke with the other members of G20 in June when it abandoned a coalition of 147 nations in the Paris Climate Accord. At the time, Trump insisted that the agreement would be renegotiated but other leaders said that was a pipe dream. 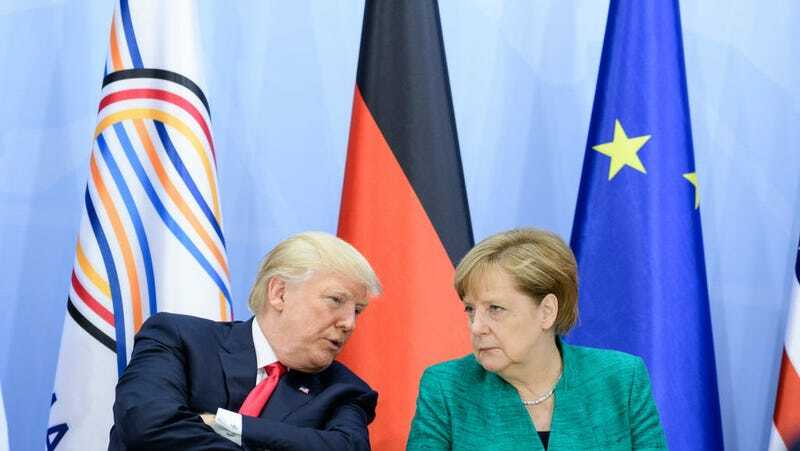 Chancellor Merkel reiterated in Hamburg that “the other 19 member states of the G20 say that the Paris agreement is irreversible.” She also made it clear that she “deplores” the fact that the US pulled out of the accord. The US may have announced its withdrawal from the Paris Climate Accord but it technically can’t officially step away until November of 2020. Coincidentally, that’s the year that a recent study from Morgan Stanley estimates that renewable energy will become the cheapest source of power.